A 33 year old patient walked in the urgent care walk in medical clinic with the long needle of the palm and it was deep in the tissues. The patient was in lot of pain. 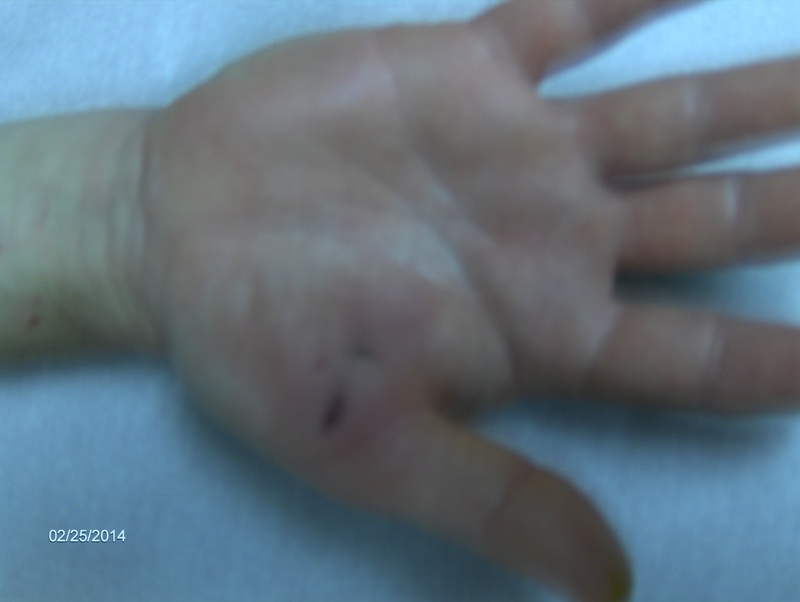 Dr. Jain saw the patient and used local anesthetics to numb the area and splinter was removed intact. It is important to remove the splinter properly otherwise it will get break and get stuck in the tissues. The patient received the Tetanus shot and was sent home with the antibiotics. The patient responded well and did not have any problems. This entry was posted in Emergencies, Emergency Care, Family Health Care, Medical Needs, Patient Stories, Routine Medical Services, Urgent Care and tagged antibiotics, break and get stuck in the tissues, deep in the tissues, Dr. Jain, local anesthetics to numb, long needle of the palm, lot of pain, remove the splinter, splinter was removed, tetanus shot, urgent care walk in medical clinic. Bookmark the permalink.